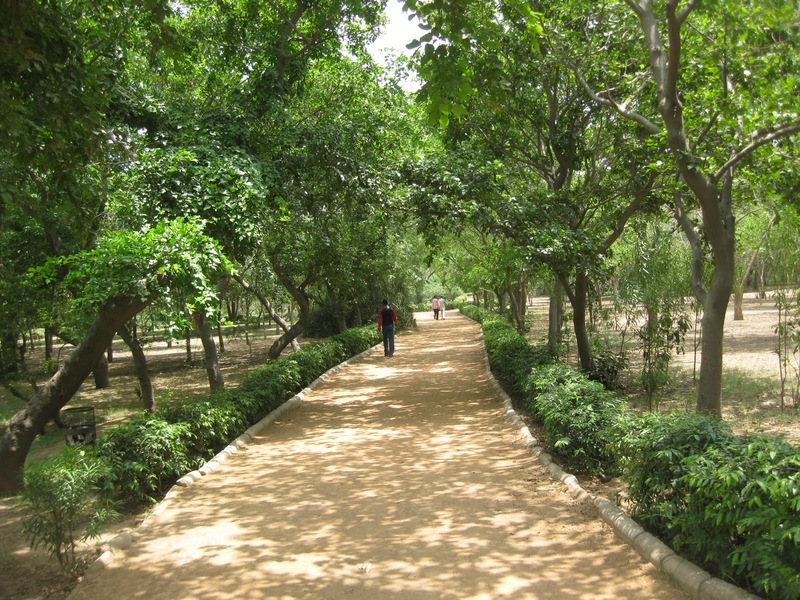 Hari Batti's Green Light Dhaba: Photo Essay: Green Delhi, Accessible Delhi! All good greens care about trees and animals. But it's my belief that environmentalists should also care about the environments people live and travel in. 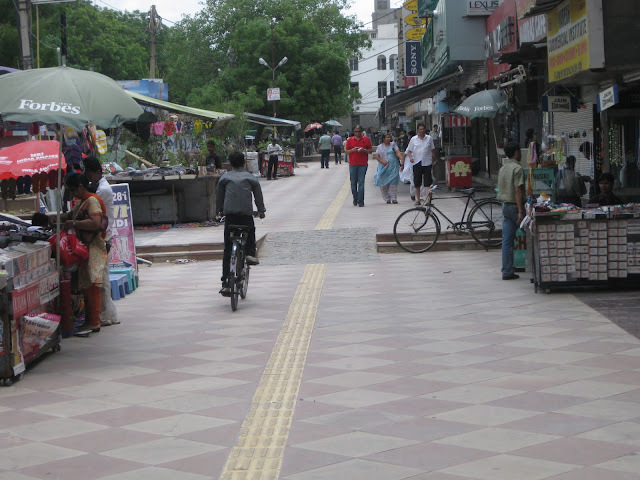 We've written about Delhi's housing, it's malls, it's water, it's roads, it's buses. Today,let's our at our built environment from a new point of view. Most of us agree that a green city should prioritize sustainable forms of transportation. But I think we too often fail to even consider how our design decisions impact many people we live with. Green Park Market was given a face lift this summer. One of the things it got was a series of ramps connecting different parts of the market. Ramps are great, because they work for pedestrians, but they also work for cycles and wheelchairs. In fact one evening not long ago, I saw a half dozen people with wheelchairs shopping in Green Park Market; they were using this very ramp. 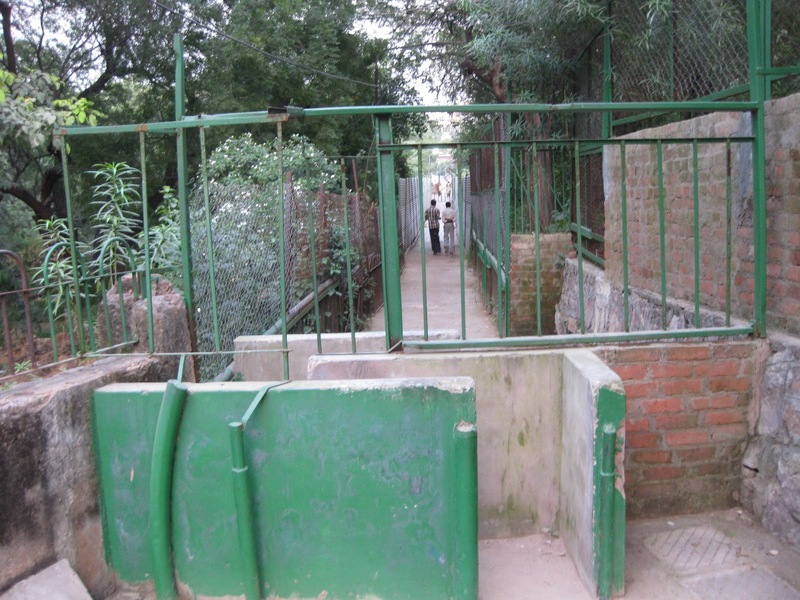 However, this kind of accessible construction is the exception, not the rule in Delhi. Here we see what one resident's welfare association did to keep cycles from moving from one side of the colony to the other. In so doing, they obviously limited people who use wheelchairs as well. This park has wide, well manicured paths that could be used by cyclists, people in wheelchairs and pedestrians alike. 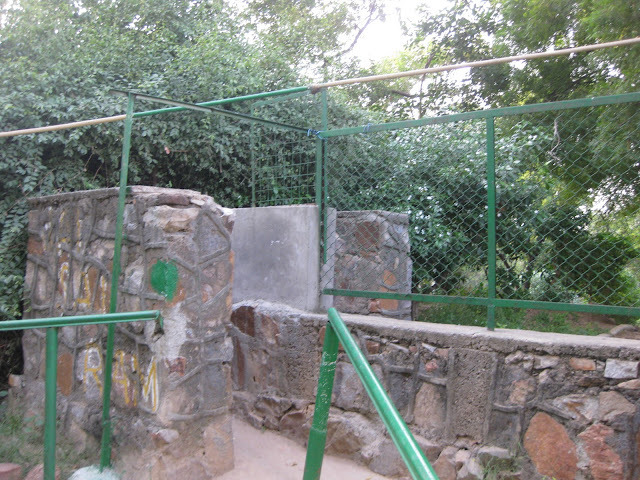 Except that it is almost impossible to get into the park with a cycle or a wheelchair because of this wall. Speaking of wheelchairs, when is the last time you saw one on a Delhi bus? Not often. 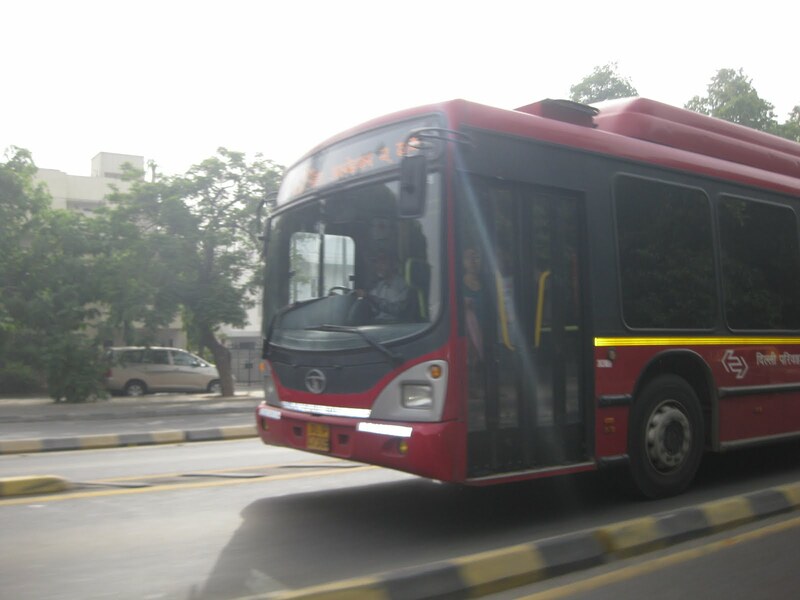 In many places in the world people with disabilities regularly take public transportation, but making that possible in Delhi in a meaningful way would mean putting a more buses on the road and making accessibility a priority. I'm not an expert here. I know this would cost money. But we have to assert that our city should be for all people, including people with disabilities. And as for cyclists, we have plenty of them here. But they almost always have to share the road with motor vehicles. 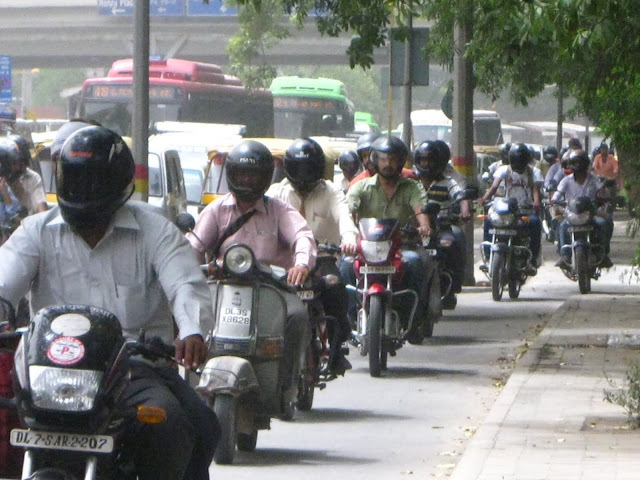 And even on the BRT,where there is a designated lane for them, it is often overrun by motorcycles. This is immense in turn precise here. Thank you for posting them. Keep doing awesome would like to see more blog entry on the site. welcome it a large deal on the topic of given that taking that loom in the explicable besides simple to perform bearing explain.Ooh media advertising offer their own specific exceptional impact – sheets, dividers, transport and rail media, street furniture, quality signage, mechanized, versatile announcements, sports media and that is just the tip of the ice sheet – that are sure to fit your needs. You're lucky to visit this place and I hope that you liked your trip. As for me, it's very important to discover other countries and their culture because our world is so varied and unexpected that you couldn't even imagine what you will see. You can expect supremedissertations but you will discover the opposite things. This is normal and you need to respect this variety.